Flappy bird, Well I need not give a brief explanation of this game. It is a Most popular game which was released recently and created a sensation among Android games & finally got banned due to some reasons. However, people start searching for that Flappy Bird on google, million searches every day for this game. 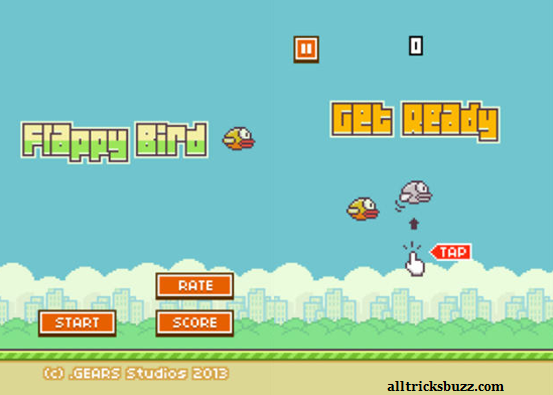 Even the Apk files are available on many sites for Flappy Bird. Now I like to present the Flappy bird APK using blustacks software. So follow the steps to download enjoy the game on your PC. First, you need to Download Bluestack App Player which is able to run Android apps on PC. After downloading, install the software on your PC. Now open Bluestacks player software and type “Flappy Bird” in the search box above. Click on the game which appears and then download will start.